We had a busy summer here at Marsden Marketing, so it’s no surprise the months flew by. In that time, we covered all sorts of inbound marketing blog topics on the Marsden Marketing blog. And we hope you learned a lot – our team sure did! Now that fall is here and potentially even some cooler weather, let’s take a look back at our most popular blogs and the key takeaways from each. This guide by Client Success Manager Noah Thomas is a must-have for companies that want to be found online by their customers or other businesses. 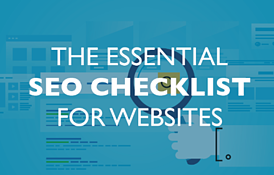 It’s not enough to just have a website – you have to be optimized for Google and Bing. It’s like having a business on a busy street without any signage. How would people know what your business does or where you’re located? The same goes for SEO. If your website isn’t optimized for search, you’ll be missing out on a lot of organic traffic that doesn’t cost you anything. 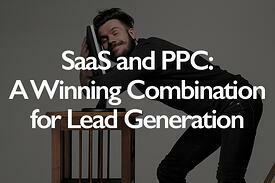 Have you ever been intimidated by Google AdWords PPC campaigns? You’re not the only one. We know the feeling, but we also know the tricks. Inbound Marketing Associate Charlotte Cook walks us through three steps to help you succeed in your lead generation, even getting into types of campaigns and how to control the cost of your campaign. This detailed blog post wraps up with a Marsden Marketing case study with a SaaS client that utilized PPC and inbound marketing to further their inbound marketing goals. 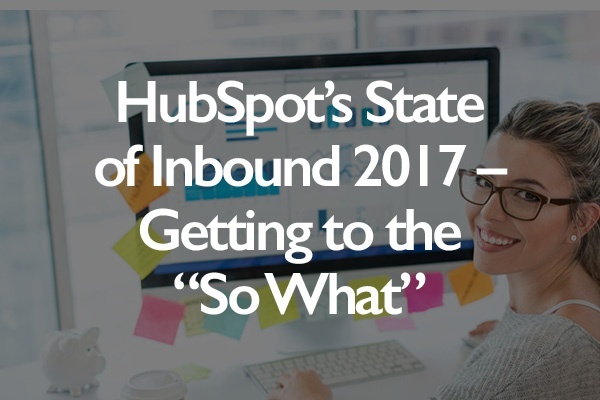 Each year HubSpot releases their “State of Inbound” report that reveals trends and important strategies companies and marketers are pursuing. It’s one of the few reports marketers will read top to bottom because there’s a lot of value packed in it. Not everyone is that excited about a report, however, so Jeffrey Willis, client success manager, did the deep-dive you probably didn’t have the time to do. He shares stats and trends you don’t want to miss. Unlike traditional marketing where intrusive ads, junk mailers, and an ineffective shotgun approach are common, inbound marketing is more focused on the customer with targeted campaigns that build trust and respect with potential customers, creating a demand generation funnel. Our inbound marketing specialists are the wizards behind the scenes making it all work. 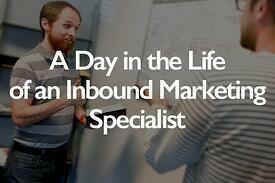 To get an idea of what that looks like, David Doughty shares a day in his life as an inbound marketing specialist. Graphic Designer Brian Bicknell’s blog post on web design trends has been incredibly popular and isn’t just the most popular blog this summer – it’s the most popular Marsden Marketing blog of the entire year! 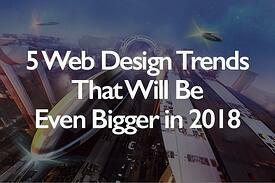 Brian walks us through some of the trending designs that we’re already seeing on websites and what we expect to see continued in 2018. Because it’s so popular, we even created an additional resource that goes into more depth about the trends and why they might be a good idea for you to adopt. Download the full e-Guide and read more here. These are the five most popular summer blogs, and we’ve got a great line-up of blogs planned for the fall. But what interests you? Have we missed an important inbound marketing topic (or maybe it’s been a while since we talked about it) that you want to learn more about? Comment below or shoot us an email and share what you want us to write about. We value your feedback!